I absolutely love these cookies. Firstly, though, they're not really cookies. They're in fact biscuits. They simply resemble small, thick cookies, but they have a biscuit texture. There's only seven in a pack, but that's because they're so darn thick. 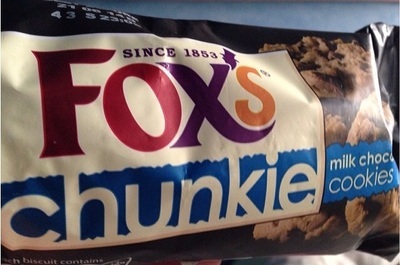 These are a serious contender for the leading cookie-biscuit producers in all good supermarkets. More than the taste, the biscuit actually looks good. It's about the size of a small palm, is thick, chocolatey, and smells freshly baked. Although more of a biscuit, the 'cookies' are surprisingly chocolate-y. You don't, or at least I didn't, expect there to be so much chocolate in one cookie, but there is, and they're a joy to eat. At £2.00 a pack, buy them sparingly and enjoy them once in a while.